It’s time to erase the whiteboard reading “Days Since Last Jameis Winston Turnover Party” and draw a big fat 0. 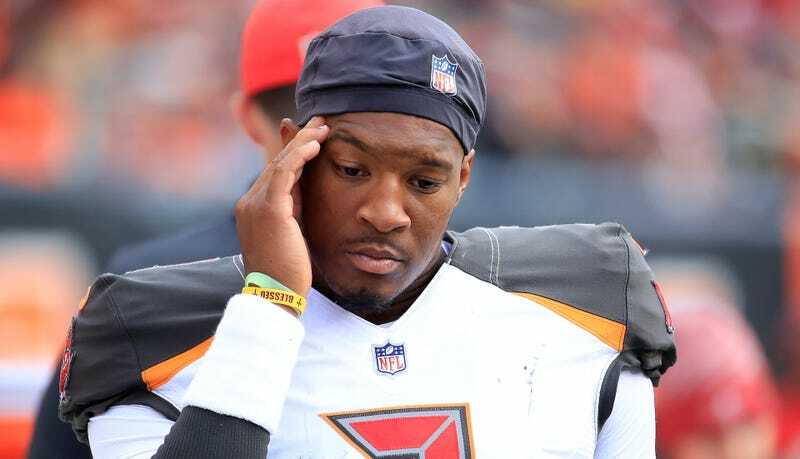 The Buccaneers might have beaten the Bengals Sunday if they’d benched Winston quicker, but instead, he was allowed stick around long enough to throw four interceptions, get sacked five times, and leave Ryan Fitzpatrick with a 34-16 hole to climb out of. 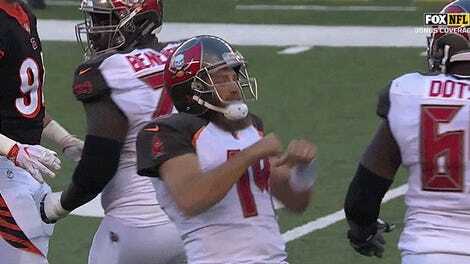 Fitzpatrick almost did get out of that hole, though the comeback fell short. Despite the disaster that was yesterday’s loss, there is still a non-zero chance that Fitzpatrick, who was benched at halftime in Week 4 because he had completed 50 percent of his passes and thrown a pick, is not the same wizard he was at the beginning of the season, which would give Winston another chance this season to start, build on all the turnover records he already owns, and get benched again.